My boys have never complained about eating our strawberry banana smoothie (they LOVE it! ), but the other day I realized I was in a bit of a rut and needed to give them a new flavor to try. I had peach yogurt in the fridge, a very ripe banana, and a mango. I threw it all in the blender with some crushed ice, and now we have a new favorite smoothie at our house. We love smoothies for breakfast, but they're really perfect for any time of the day. And smoothies and summertime (which begins Friday for us- big kindergarten graduation today) go hand in hand, don't they? Like the recipe states, I used the Kroger brand (I buy mine at Smith's) of yogurt, but any would work. 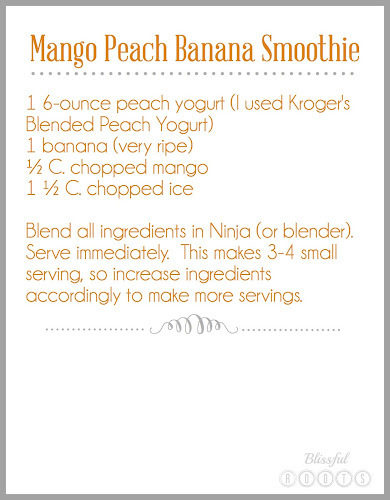 I also like using my Ninja for blending it all together, but you can use whatever blender, food processor you have. Also, don't be afraid to adjust the ingredients and amounts of each. I've learned you really can't go too wrong when it comes to smoothies. I just throw in a bit of what I like, and then add more if needed. What are your favorite kind of smoothies? I think my next smoothie post will be an all berry one. My boys are berry fanatics! Sounds yummy. We have a big preschool graduation tonight but our summer still doesn't start until next Thursday when my son's school ends. So ready for it to be here. We just had graduation this morning, so it's official- summer is here for us! I love summertime with my boys. I hope you guys have a great summer as well. Thanks so much for stopping by to visit. Come back anytime! We love smoothies in the morning too. I love mixing up the fruit for different combinations. Congratulations to your big boy!! Thanks so much, Brandi! We're officially on our first day of summer vacation today. So far, so good! Come and visit again soon! Delicious! I love mango and peaches! We make smoothies all the time. My favs are any kind of fruit mixed with coconut milk. So good! My husband would love me if I did coconut milk. Thanks for the great idea and for visiting! Have a wonderful day! Sounds so good!! 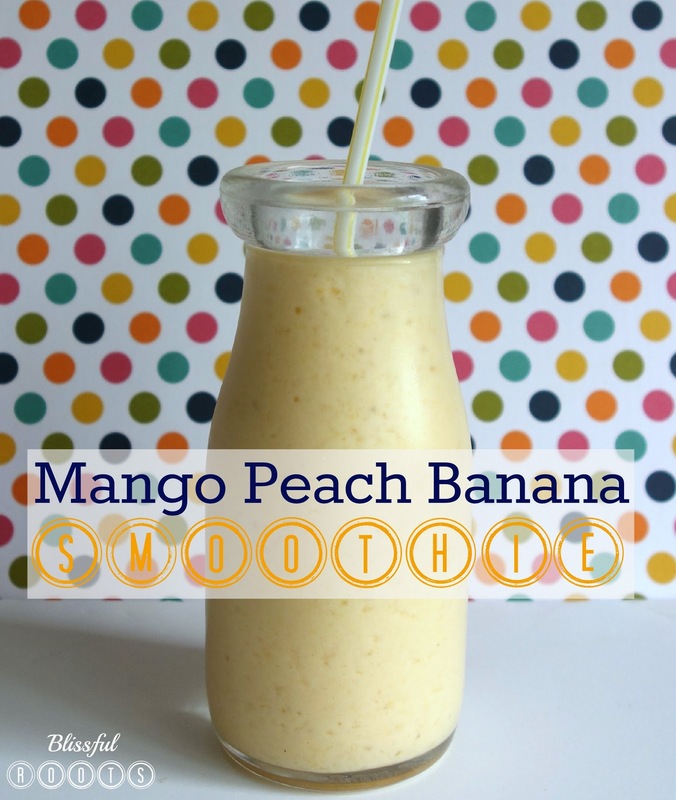 Smoothies are a big thing in our house, I will have to give this a try. I usually add spinach to ours, the kids love them! I have done the spinach before, but not for awhile. I need to do that every time- such a great way to sneak in some healthiness. Thanks so much for taking the time to comment, Amber. Visit anytime! Hi, Nicole! I'm so glad you found me and stopped by for a visit. The peachy/mango flavor is my new favorite right now. Hope you're enjoying beautiful summer weather in your neck of the woods. Oh yum! My kids love smoothies too! Thanks for sharing at Give Me The Goods Monday! 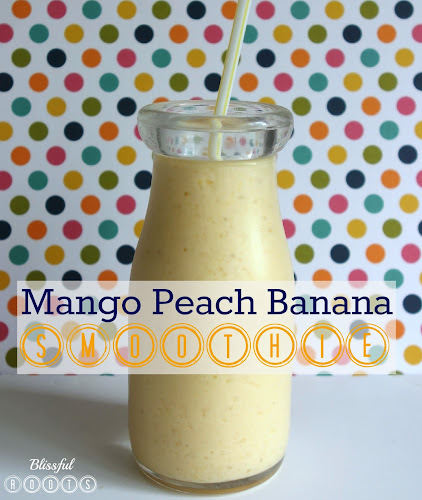 I never ever tried smoothie but its looking delicious and would like to taste it.